Rentals | Beck's Trailer Store | Michigan's Largest Trailer Dealer | New And Used Trailers For Sale And Rent. Curretly we only rent a 7' x 17' enclosed cargo trailer. The daily rate is $64.99 with a $500 refundable cash deposit. 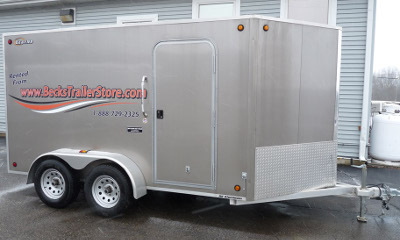 To check availability or reserve the enclosed cargo trailer please call our Parts & Service Department at 989-224-6825. Located in central Michigan, we are just 40 minutes north of Lansing, south of Mt. Pleasant, an hour west of Flint and east of Grand Rapids.